Double room located on the first floor, overlooking one of the main streets of Siena. Triple Room located on the first floor, overlooking one of the main streets of Siena. Double Room with private entrance, view on one of the main streets of Siena. Piazza del Campo is the main square of the city of Siena. 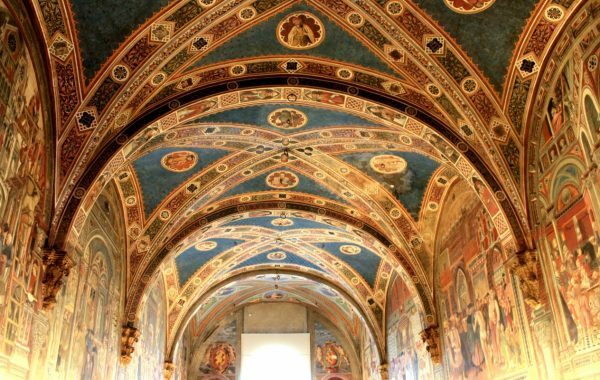 Unique for its particular and very original shell shape, it is renowned all over the world for its beauty and architectural integrity, as well as being the place where the Palio di Siena takes place twice a year. For an ancient convention, the square and the Palazzo Pubblico do not belong to any contrada. 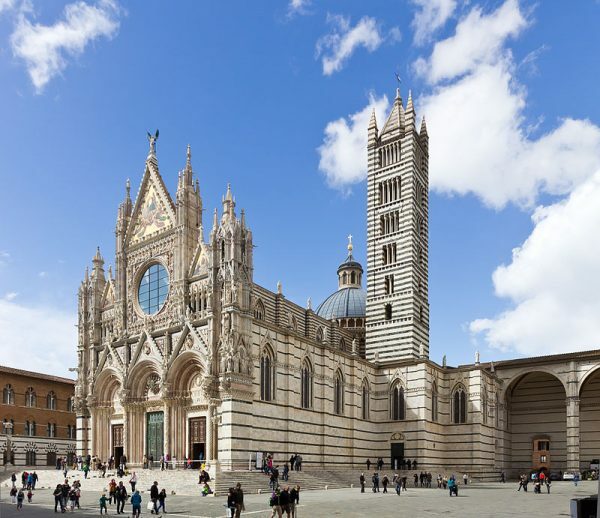 The Metropolitan Cathedral of Santa Maria Assunta is the main Catholic place of worship in Siena, in Tuscany, the episcopal seat of the metropolitan archdiocese of Siena-Colle di Val d'Elsa-Montalcino; the building is located in the square of the same name, in Terzo di Città. Built in Italian Romanesque-Gothic style, it is one of the most significant churches built in this style in Italy. The Santa Maria della Scala is a museum in Siena, located in Piazza del Duomo 2, just in front of the cathedral. Already one of the oldest and largest hospitals in Europe, it was one of the first xenodochi and today, having exhausted its sanitary functions, it is one of the most important museum and cultural centers of the city, following an important recovery operation based on the project of architect Guido Canali, winner in 1992 of an international competition by invitation. 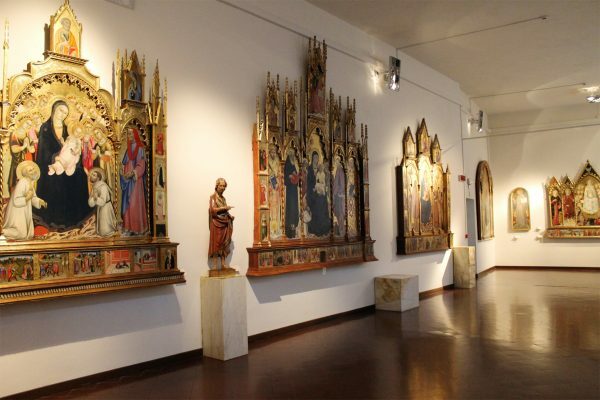 The National Picture Gallery of Siena is the most important state museum in the city, where there is a fundamental collection of works by the Sienese school. The building is located in the heart of the city 250 meters from Piazza del Campo and just 10 minutes walk from the Duomo. A strategic position to visit the historical and architectural beauties of our medieval city. The structure consists of three double bedrooms and one single bedroom, all equipped with their own private bathroom. In this structure you will receive a family welcome, we will be happy to offer you all the comforts of home and personalized services. We will also be always available to provide useful information on local life and to recommend interesting places to visit. 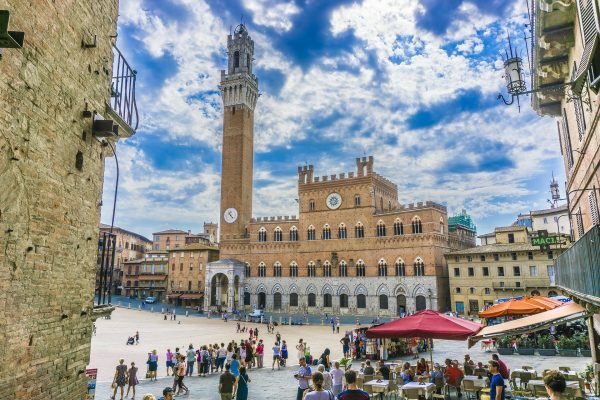 We will help you so that your stay in Siena will remain a special memory!